Finished Reading High Performance Web Sites: Essential Knowledge for Front-End Engineers by Steve Souders. In this book Souders presents 14 rules that will cut the response time of a site by up to 50%. Steve Souders, Chief Performance Yahoo!, discovered these best practices while optimizing one of the highest traffic sites on the internet. 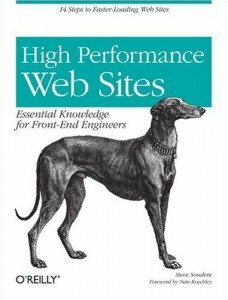 I recommend this book to anyone interested in improving the performance of their website on a budget. The majority of these rules take very little time or money to implement. I’ve already added the YSlow extension to my FireBug extension in Firefox to start testing my site. I’m interested to find out what new information Steve Souders discusses in Even Faster Web Sites: Performance Best Practices for Web Developers , his second book.